Welcome to Aqua! This beautiful resort sits right on the coast of Panama City Beach on the Gulf of Mexico! 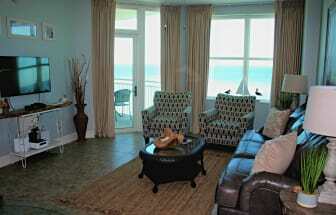 Your condo here is in one of the best locations possible, giving you easy beach access and numerous other benefits! The elegant resort offers a number of amenities and conveniences on the property! 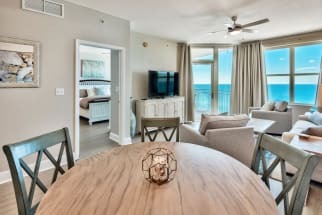 Emerald Coast by Owner is proud to be your premiere vacation rental service for this wonderful complex, offering you a variety of luxurious properties! Units here range from 1-3 bedrooms, with large space and vary with assets depending on the owner! If the amazing resort isn't enough to convince you, well the area might as well be! There's so many awesome attractions and activities throughout the area, like fishing, banana boat rides, snorkeling, kayaks, boat rentals parasailing, paddle boarding, swimming with dolphins, diving, boat tours, jet ski rentals, golfing and more! Some excellent spots in the area we think you might like specialize in seafood or traditional food, they provide you with great service and drinks also! Book your next vacation with Emerald Coast by Owner today and relax on the beautiful waters of the Gulf Coast. 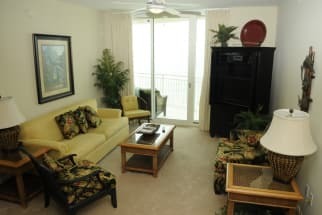 Scroll down to browse our selection of properties in Aqua Panama City. 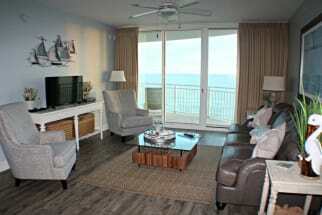 Avoid booking fees and be put into direct contact with the property owner through Emerald Coast by Owner!